Founded in 1896, the Merkur brand is the mark of quality in the wet shaving industry. 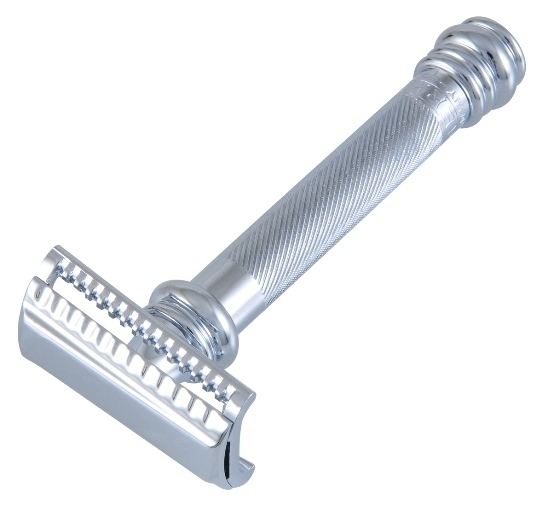 Classic style with a polished chrome finish make this heavy duty, long handled double edge safety razor with a slant head the choice of many discriminating shavers. The slant head meets the curviture of the face for a comfortably close shave.